Chuka Umunna recently defended the last Labour government against a left-wing critique that its modus operandi was fundamentally neoliberal. Ewan Gibbs and Sean Kippin argue this does not consider the nature of neoliberalism, particularly the distinction between its ‘roll-back’ and ‘roll-out’ variants. They argue that New Labour’s approach was indeed of the latter type. Chuka Umunna, one of the more high-profile Labour MPs who have remained on the backbenches under Jeremy Corbyn, recently reflected in The Independent on how Labour’s various factions relate to neoliberalism. He rejected the notion that Corbyn’s leadership represented a sea change in Labour’s economic policy. Instead, Umunna signposted the role that Ed Miliband’s leadership played in orientating Labour towards social democratic sensibilities, implicitly including his role as former Shadow Business Secretary. Large parts of Labour’s current programme do indeed fit within the social democratic mainstream, or are carry-overs from Miliband’s leadership. This includes the party’s advocacy of a National Investment Bank, a higher rate of income tax for the top 5% of earners, and a focus on lowering the cost of higher education (particularly for undergraduates in England). Despite talk of widespread nationalisations, this agenda has been restricted to those areas where the transfer of public assets into the private sector has proven particularly unpopular – such as in the case of rail – or have come relatively recently – such as in the case of the Coalition’s mismanaged sale of the Royal Mail. Yet, there are some crucial differences in emphasis and the strategic purpose of the Corbyn programme compared with Miliband’s. Public ownership is couched in terms of discussing democratic and cooperative ownership models, whilst worker empowerment is far more pronounced than under Miliband. Corbyn’s Labour holds out the promise of scrapping Thatcher-era anti-union legislation. It promises a government more prepared to support workers against big business than either the lukewarm responses of the Blair and Brown government or Miliband’s opposition. It seems unimaginable that Corbyn (or indeed Richard Leonard in Scotland) will be caught in a Miliband-style ‘these strikes are wrong’ quagmire. So although Umunna’s overall assessment of the relatively modest nature of Labour’s current programme has some validity, it does miss key elements of the democratising challenge to economic elites which has helped Corbyn climb the polls. However, Umunna went further and disputed the notion that New Labour was characterised by the administration of neoliberalism. His definition of neoliberalism accords with much of the ‘common sense’ understanding of Thatcherism and its legacy: ‘At its bare bones, neoliberalism as a theory usually means favouring free trade, privatisation, minimal government intervention in business and reduced public expenditure on things like social services.’ This is a ‘roll-back’ understanding of neoliberalism, one which entails the state withdrawing so as to allow the ‘creative destruction’ of market forces to maximise utility and generate collective prosperity. Conservative governments under Thatcher and then John Major privatised state assets and industries, lowered taxes, and enforced budget cuts on central and local government. They abolished or reformed institutions which stood in the way of that agenda (including sectoral wage boards), and used the levers of the state to disadvantage institutions of working class solidarity, especially trade unions (but also cooperative societies). It is true that the last Labour government didn’t reverse many of the Tory privatisations that went before it, preferring to prioritise investment in schools and hospitals. But it nationalised Northern Rock bank and took 81 per cent and 43 per cent stakes in RBS and Lloyds banks respectively at the height of the financial crisis of 2008/09 in order to maintain a functional banking system. What is missing from such an understanding is that neoliberalism is fundamentally a state-enforced transfer of wealth and power from the population at large to financialised big business – a project that continued and thrived under New Labour. Umunna uses the example of bailing out Britain’s financial institutions to justify the case that New Labour departed from the neoliberal orthodoxy. But, taken in conjunctions with record low interest rates to preserve asset values, how else could a transfer of public money to the financial sector on a record scale be described? This was in fact a key example of neoliberalism in action, and fatally undermines Umunna’s case. Neoliberalism also has a second aspect, beyond ‘rolling back the frontiers of the state’. Jamie Peck and Adam Tickell pioneered the concept of roll-out neoliberalism which involves aggressive attempts to involve the private sector in the provision of public services whilst encouraging the population’s dependency on wage labour and market forces. In short, the neoliberal agenda moved from one defined by the discrediting of Keynesian economic policies and institutions, and the generous welfare states that sat alongside them, to a form which ‘one focused on the purposeful construction and consolidation of neoliberalised state forms, modes of governance, and regulatory relations’. It is here where Umunna’s defence of New Labour falls flat. How else could one describe policies such as PFI, in which the New Labour government partnered with large private sector companies, on highly disadvantageous terms according to the National Audit Office, to deliver those egalitarian priorities which Umunna references, namely the improvement of schools and hospitals? Similarly, Labour advocated the wholesale involvement of the private sector in the English NHS, supported corporate sponsors of Academy Schools, backed the lamentable proposed public private partnership for the London Underground, and pushed the contracting out of employment support services. In multiple policy areas, New Labour went further than the Conservatives ever did in seeking to build an institutional apparatus which transferred wealth from the public purse to large corporations. The distinction between ‘roll-back’ and ‘roll-out’ neoliberalism allows us to reconcile the egalitarian ‘big state’ agenda of the New Labour period. The party was committed (no doubt genuinely) to the abolition of child poverty, the improvement of schools, and the abolition of pensioner poverty – but combined these with many policies of a neoliberal character. Often framed in terms of ‘making work pay’, this policy line prevailed even where it meant the state subsidising the low wages that the operation of liberalised labour market provided. New Labour’s brand of neoliberalism departed from Thatcherism chiefly in the scale of its ambition; it pursued big state, rather than small state neoliberalism. Jeremy Corbyn’s leadership of the Labour Party divides opinion. From the soft-left rightwards many remain to be convinced by the virtues of a less managerialist, more full-blooded socialist policy offer. However, those wedded to Labour’s recent past record in government are likely to find events overtaking them. Politically, the notion that the private sector knows best was never truly popular and is now looking increasingly incredible. The Carillion collapse follows on from the Olympic Games G4S catastrophe and the Southern Cross care homes failure. In the meantime, both the Department for Work and Pensions’ flagship Work Programme, the privatisation of probation services, and the East Coast mainline bailout show the intellectual bankruptcy of this approach. Labour politicians would be wise to relinquish their party’s past attachment to the politics of roll-out neoliberalism. 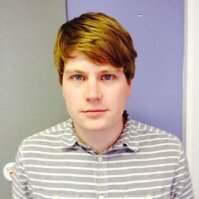 Ewan Gibbs lectures in Sociology and Social Policy at the University of the West of Scotland. 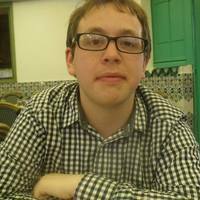 Sean Kippin is the Assistant Editor of the LSE British Politics and Policy Blog, and a Doctoral Candidate and Associate Lecturer at the University of the West of Scotland. His research centres on the Co-operative Party and its relationship with New Labour. A good, clear article. Thanks. I wonder what democratising means here. Does it represent the power of collectivism for the workers? Because that’s massively different from democracy as I know it in which real power to direct government is distributed equally to all individuals across all sections of society – irrespective of social class, employer, employee or unemployed. Democracy is much more powerful than collectivism.